SAD-19B: NEW Yaesu-brand AC-DC Adapter for VX-2R, VX-3R radios. Plugs into wall outlet. Output: 6.0VDC @ 1A. Replaces old discontinued part # PA-46B. Powers radio and charges battery. 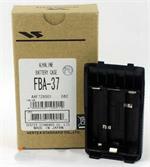 FBA-37BA : 3 x AA Alkaline battery Case for Yaesu VX-3R radio. BATTERIES AMERICA brand product ! FBA-37BA : 3 x AA Alkaline Battery Case for Yaesu VX-3R radio. This is a BATTERIES AMERICA brand product ! Replaces O.E.M. FBA-37, FNB-82Li. Load with 3 x AA for instant power ! FBA-37 : Alkaline Battery Case Yaesu-Vertex radios such as VX-3R. Holds 3 x AA cells. Provides handy instant backup power. 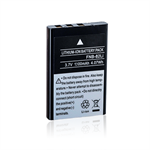 FNB-82Li : 3.7volt 1200mAh Li-ION battery for Yaesu VX-2R, VX-3R, etc. 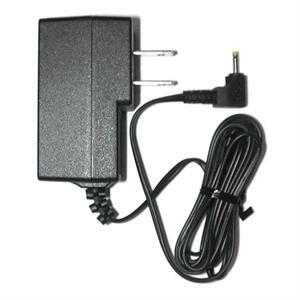 E-DC-21: DC Power Cord for Yaesu-Vertex VX-2R & V-3R radios. Provides custom Voltage & Current output compatible with these small radios. Enables full Hi-Watt TX capability.